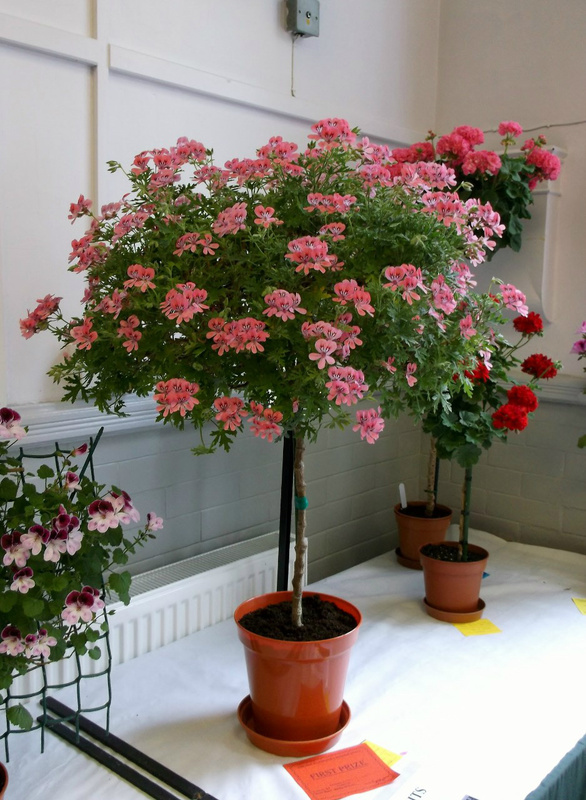 Click on the underlined title in bold capitals beneath photos to be taken to a relevant page on website. 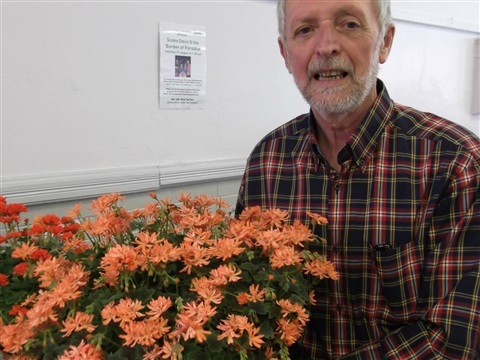 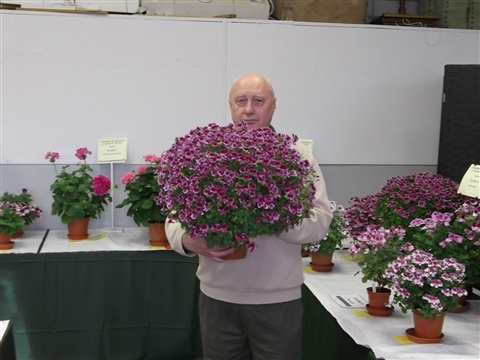 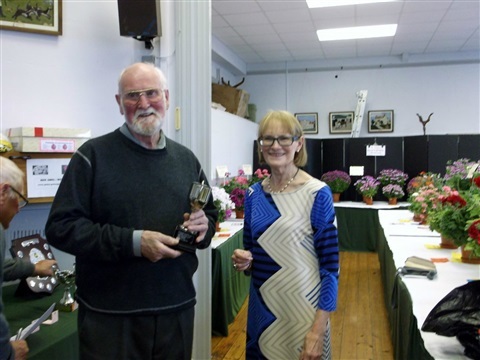 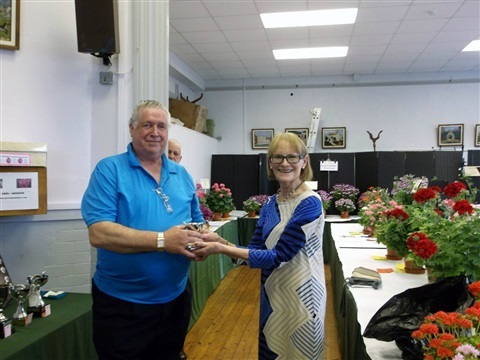 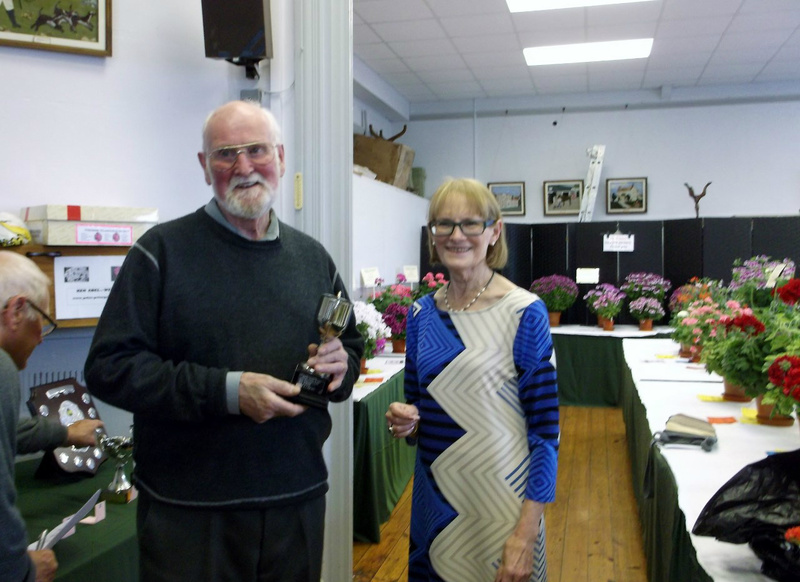 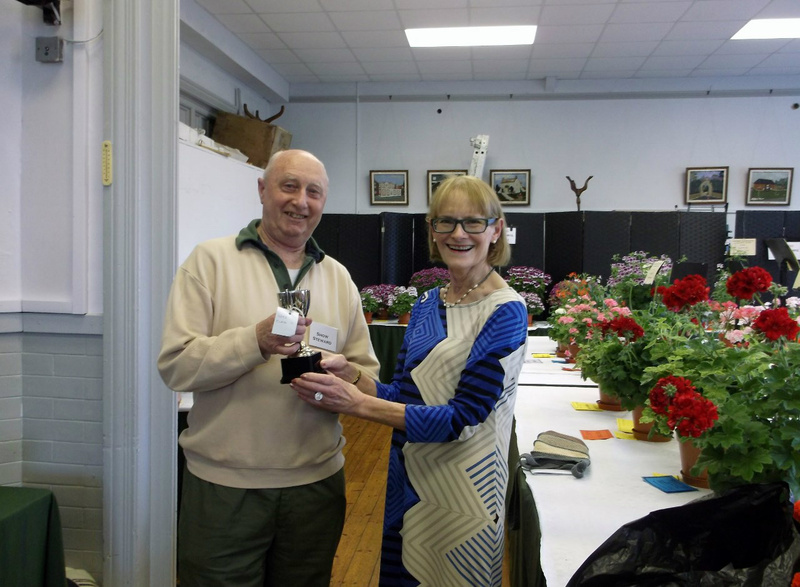 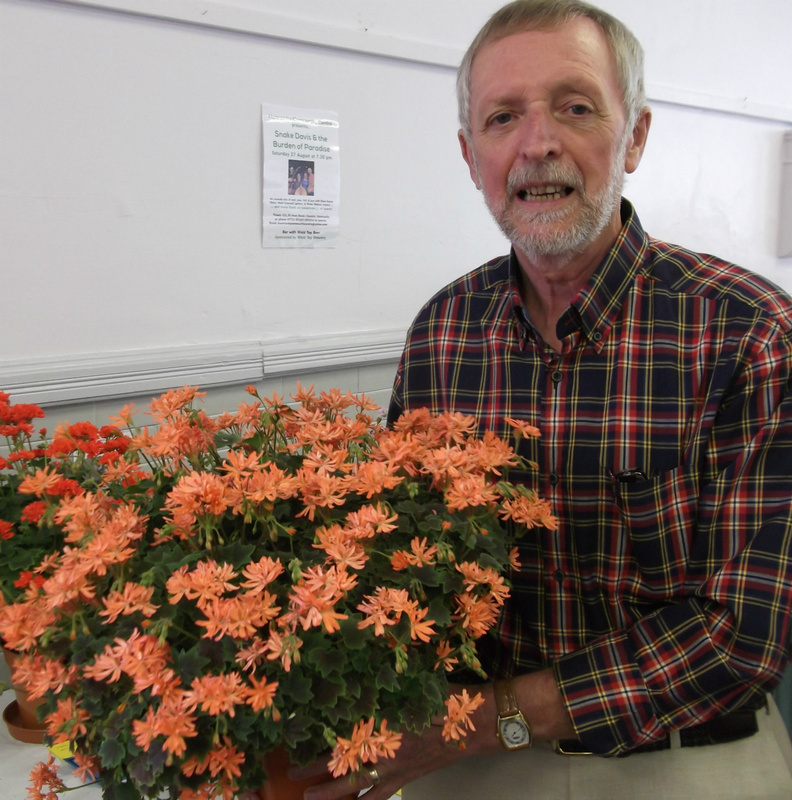 Mick Collins with his plant of Berkswell Fiesta that got best in show. 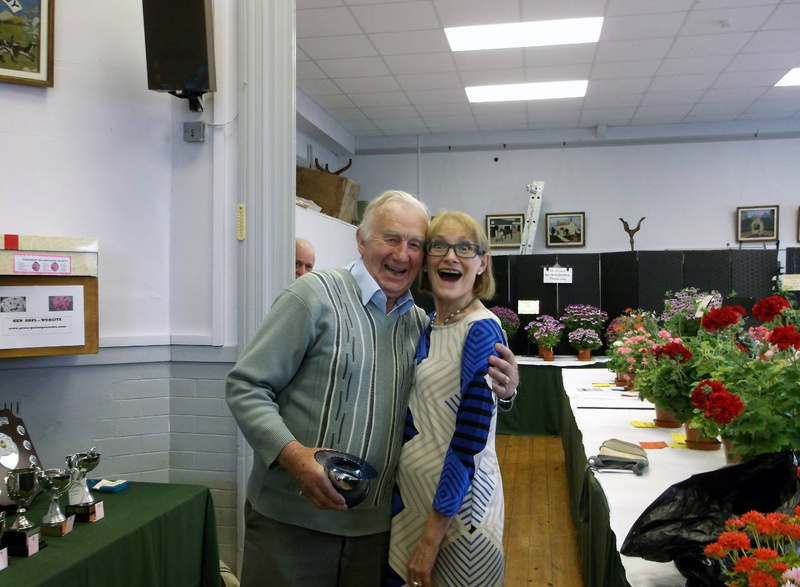 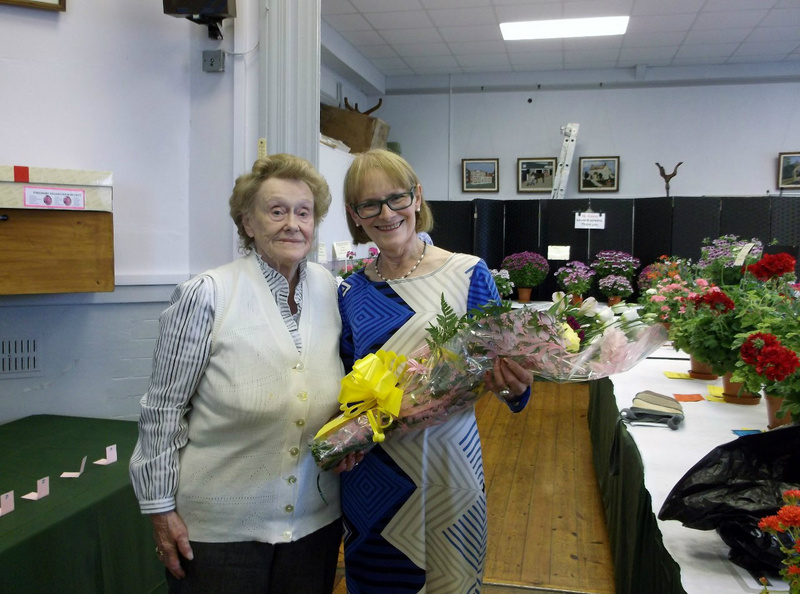 Lady Ayckbourn who kindly came along to present the trophies on the day. Mick Collins receiving one of his 6 trophies from Lady Ayckbourn. 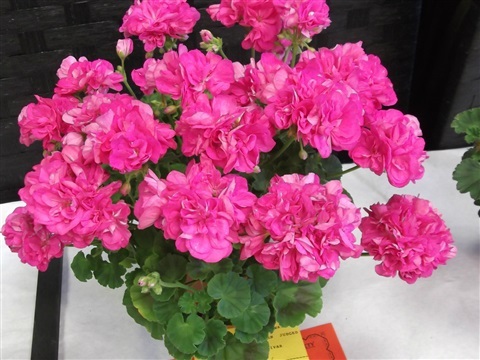 Scented leaf Lara Starshine grown as a standard by Mr & Mrs.Bevington. 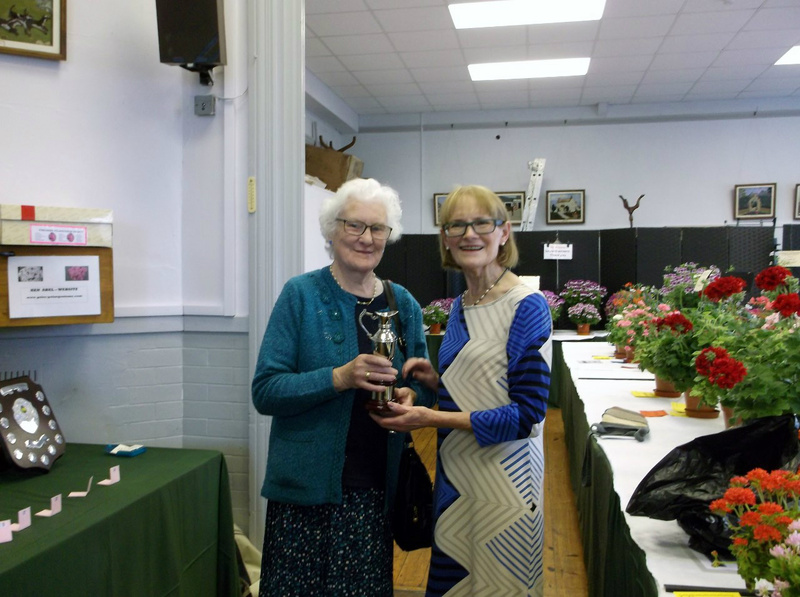 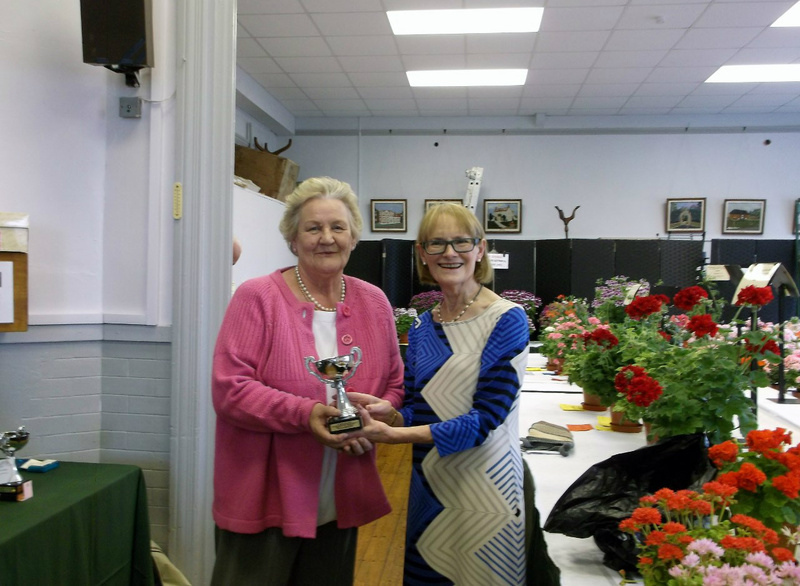 Marjorie receiving a trophy for the best Standard in the show. 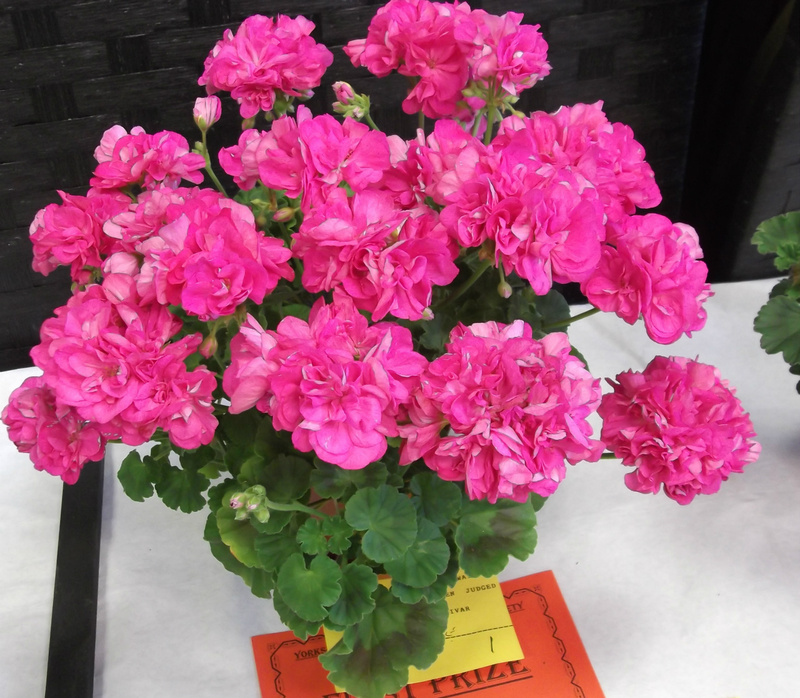 Winner of class 22 Scented Leaf. 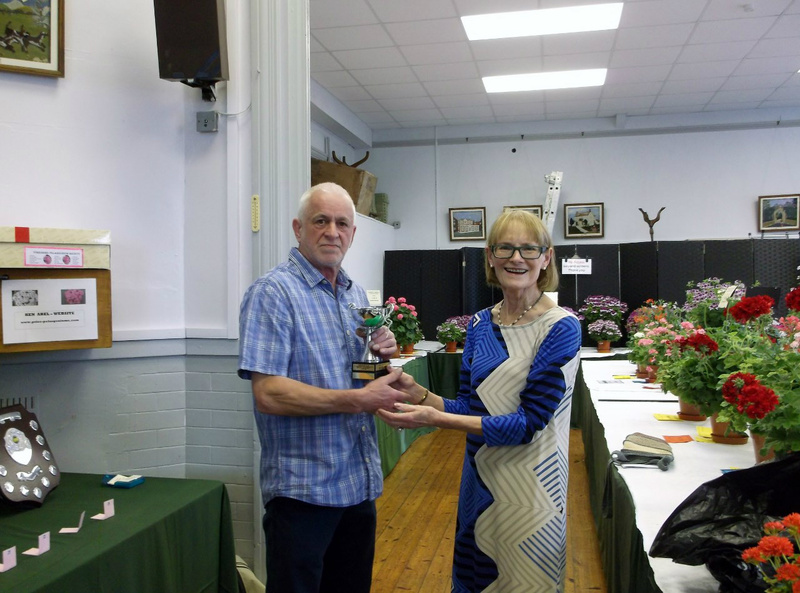 Winner of class 45 one hanging pot. Winner of class 24 with his regal and also the most points by a local resident. 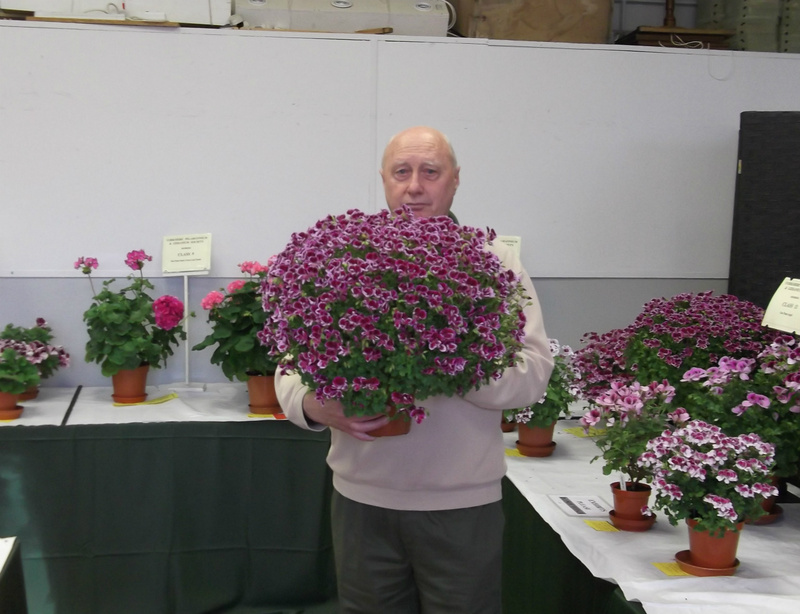 Winner of the Hardy Geranium class 48 and also the Best Basic Stellar. 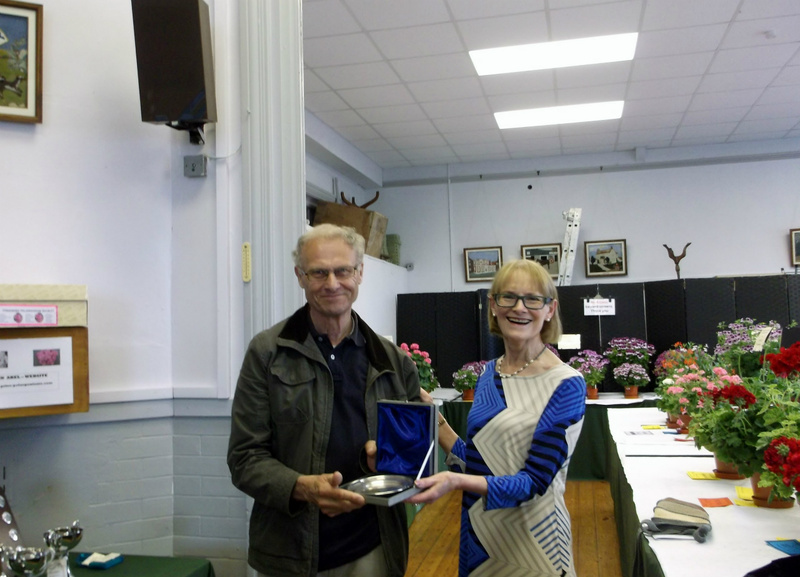 Winner of The People's Choice Trophy, where the voting public have their say. 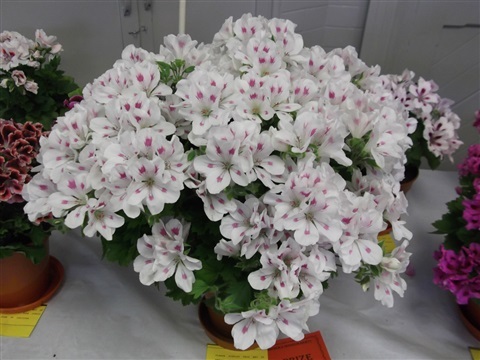 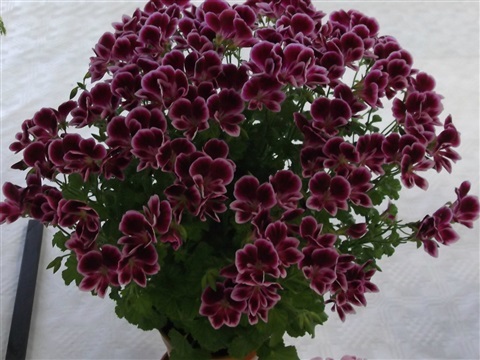 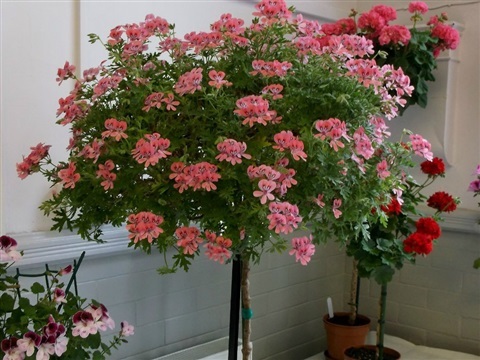 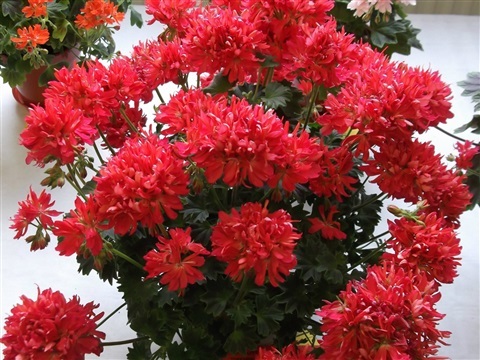 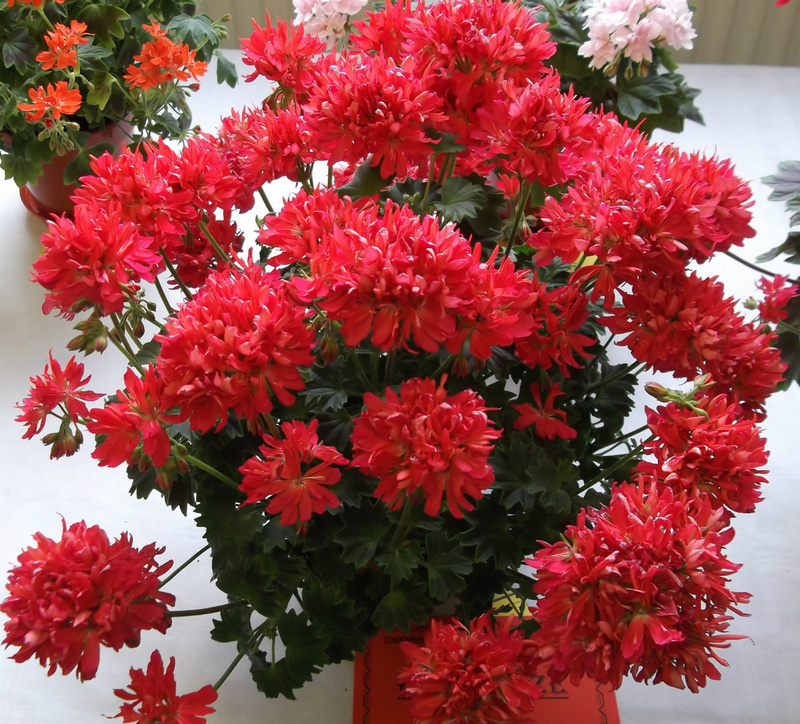 Angel Berkswell Fiesta grown in a 9cm pot as a miniature by Ken Abel. 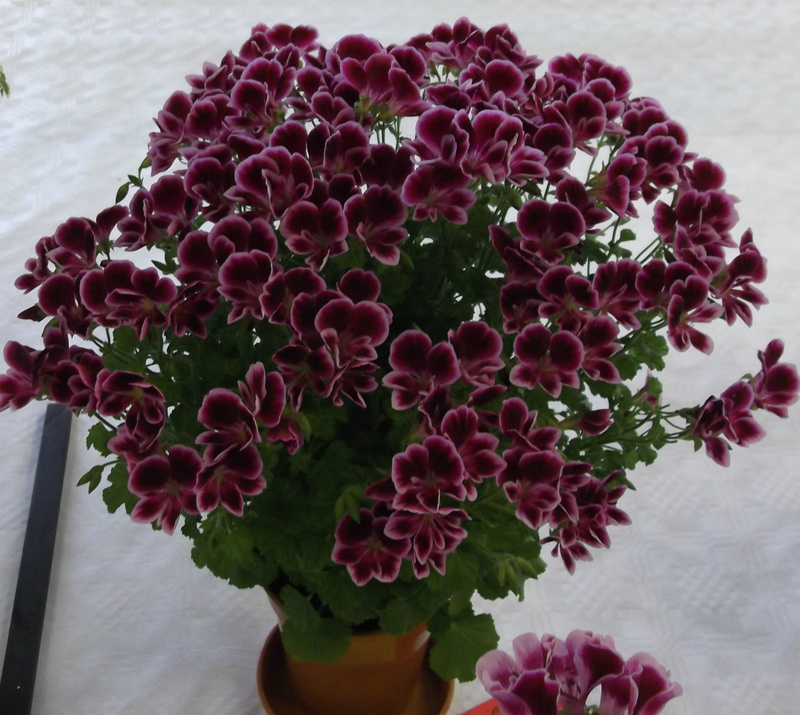 This goes to show how versatile it can be. 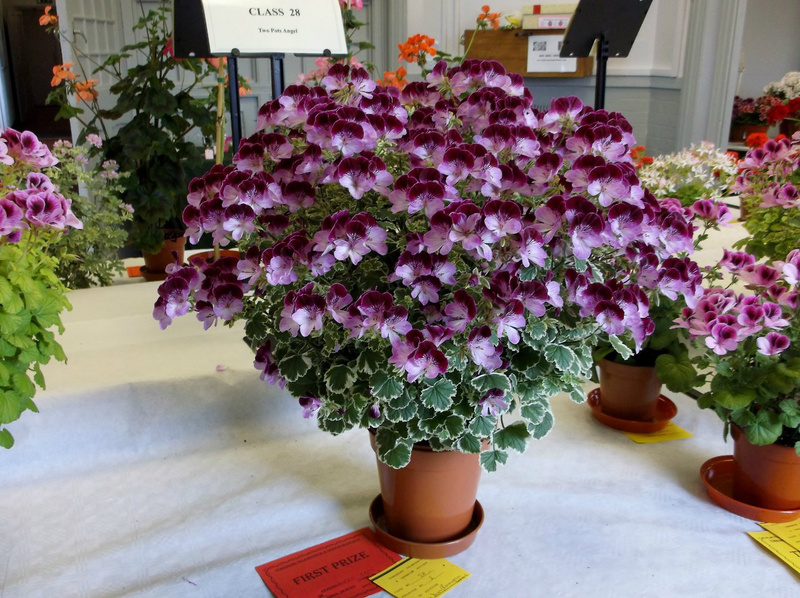 Stellar Marshgreen grown as a dwarf by Mick Collins. 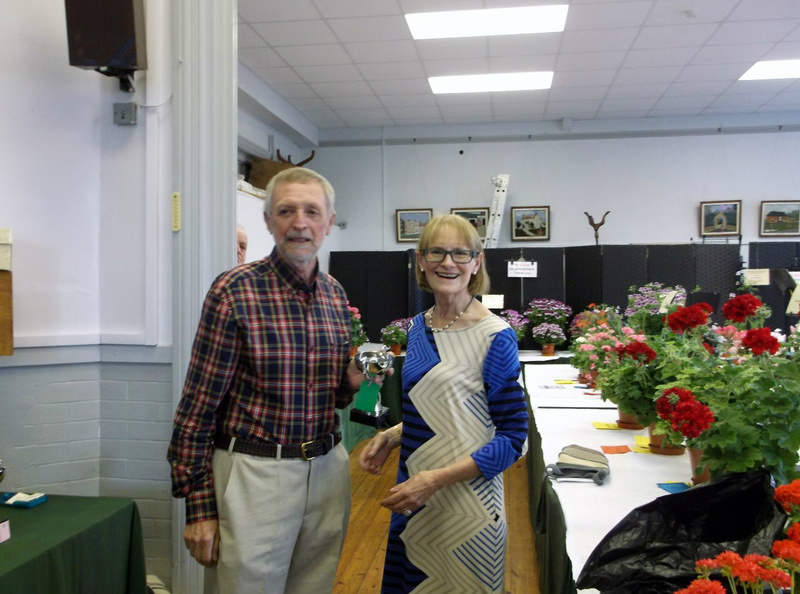 Jim & Doreen Lawson winner of best exhibit in the beginners classes.